Like other personality types, Intuitive Introverts can struggle with finding strong matches in their relationships, often wondering if true love and compatibility will ever find them. 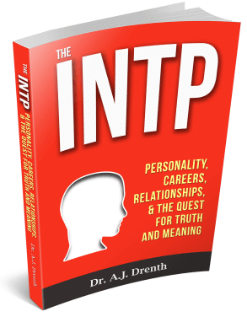 In this post, I will explore some key factors that contribute to the success (or breakdown) of INTJ, INTP, INFP and INFJ relationships. Depending on their type, Intuitive Introverts will use different methods and standards for evaluating prospective partners. 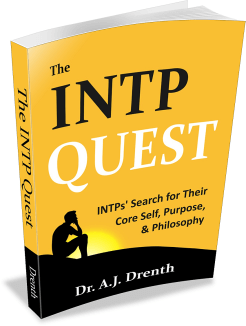 INTP and INTJ relationship-seekers might take a logical approach to finding love, listing the desired qualities of their imagined mate. INFs are likely to find such logical approaches distasteful or even laughable. 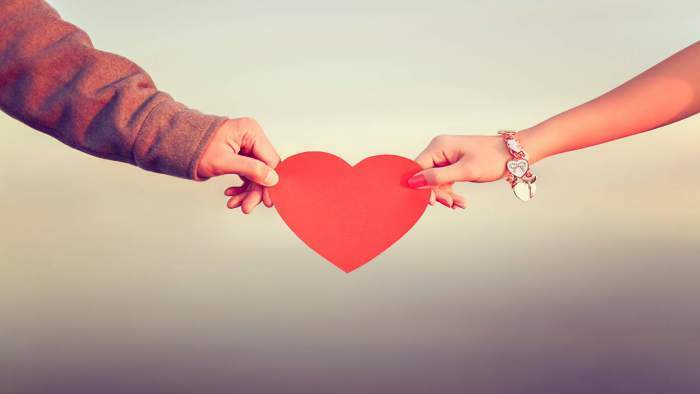 INFJs lean heavily on their intuition for identifying potential love interests, while INFP relationship-seekers assess potential mates by way of their feelings and values. Despite such differences in approach, Intuitive Introverts are alike in their susceptibility to being tripped up by their inferior function. In order to understand what I mean by this, we will need to backtrack a bit first. Unfortunately, what makes sense on paper (i.e., matchmaking according to the top two functions) does not always play out in the real world. The reason for this has much to do with the mischievous ways of the inferior function. The inferior function opposes the dominant function, is largely subconscious, and, in many ways, has its own agenda. Its needs and values oppose those of the dominant function, creating a psychological tug-of-war between the conscious (i.e., the dominant function) and subconscious (i.e., the inferior function) minds. The influence of the inferior, which is particularly potent early in life, helps to explain why people often pair with their typological opposite. The experience of infatuation is often fueled by the inferior, which can blind individuals to the fact that pairing with their opposite typically requires a sacrificing of some prominent needs and values of their top two functions. The insidious influence of the inferior may explain, at least in part, why those who marry before the age of 25 are far more likely to end up divorced. Next, we will consider some specific ways in which the inferior function may influence mating behaviors in specific introverted personality types. Extraverted Sensation (Se) is the inferior function of INFJs and INTJs. Like ESPs, for whom Se is the dominant function, INFJs and INTJs enjoy material comforts, novel sensations, and aesthetics. When it comes to relationships, INJs may be drawn, even unwittingly, to ESP types. Unlike many INJs, ESPs are not afraid of action, but can effortlessly navigate the extraverted world. ESPs can excel in sales or business and often display a high earning potential. This promise of financial security and material stability can be especially attractive to INFJs, who are often uncertain of their ability or desire to hack it in today’s fast-paced marketplace. With that said, because of their ready access to their subconscious by way of their Ni, INFJs may be the least likely of the types to be chronically blinded by their inferior function. Sure, there will be periods when they succumb to Se indulgences, but they are less likely than other types to impulsively sign-up for a long-term relationship based on the infatuating influence of their inferior. Hence, it is important to differentiate the role of the inferior in INTJs and INFJs. For INTJs, the materialization of a successful relationship with another person seems a most difficult achievement. For INFJs, materialization of economic wealth found in the security of physical objects seems hardest to come by. Extraverted Feeling (Fe) is the inferior function of INTPs and ISTPs. Like EFJs, for whom Fe is dominant, INTPs and ISTPs seek harmony and good feelings in the environment. Like moths to a flame, ITPs are commonly drawn to the warmth and radiance of FJ types (INTJs, for whom Feeling is tertiary, may experience some of this as well). Because their Feeling is inferior, ITPs are highly prone to infatuation and can be quite naive when it comes to selecting a suitable long-term partner. The childlike nature of their Feeling is evident in ITPs’ frequent attraction to sappy and simplistic love songs, not to mention romantic comedies. It is therefore of great importance that INTPs and ISTPs be aware of the powerful influence of their inferior function in order to avoid making costly errors of judgment in selecting a mate (I plan to post on this soon). Extraverted Thinking (Te) is the inferior function of INFPs & ISTPs. Like ETJs, INFPs and ISFPs aspire to be strong, confident, and self-assured. For IFPs who fail to experience these qualities, pairing with an ETJ can seem quite appealing. INFPs and ISFPs alike can be drawn to the strength, logic, leadership, and commanding presence of ETJs. Unfortunately, IFPs who find themselves in an unhealthy relationship with a domineering ETJ can experience great difficulty in severing the relationship. The ETJ’s strength often seems insurmountable and a situation of long-term codependency ensues. The notion of the attraction of opposites is often romanticized and even encouraged by some. Such pairings are often conceptualized as a balancing of individual strengths and weaknesses. An INFP and an ESTJ pairing, for instance, might be conceived as seizing an opportunity for interpersonal balance. While ES types may be drawn to this notion of interpersonal compensation, Intuitive Introverts tend to be equally concerned with personal growth and self-actualization. Hence, pairing with their typological opposite may in some ways be or feel stunting for IN types. To grow as individuals, Intuitive Introverts need to develop their Extraversion and Sensing functions. However, if they rely to heavily on an ES partner for these things, their personal growth and development could feasibly be impaired. Compromise, while necessary in any relationship, can also involve a great a price when typological opposites come together. Intuitives tend to be particularly sensitive to this issue, struggling with the idea of sacrificing their individuality for the sake of preserving the relationship. As idealists, persisting in mediocre relationships for the sake of duty or convention is a difficult pill for many Intuitives to swallow. Because of its role in facilitating the pairing of typological opposites, it is critical that all types work to develop an awareness and understanding of the workings of their inferior function. The insidious influence of the inferior can cause both Introverts and Extraverts to make detrimental errors in judgment when selecting a romantic partner. 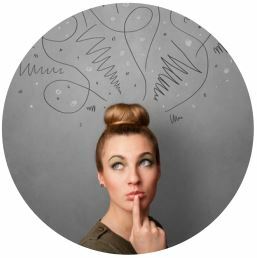 Rather than heeding the naive and childlike feeling judgments of their inferior (Fe), INTPs are better off using their Thinking (Ti) when it comes to selecting a mate. Like INTPs, INTJs are often best paired with a mindmate, resisting what might be a first-blush attraction to ESFP finesse or beauty. INFPs will do best to listen to their hearts and deeply held values (Fi) rather than making a Te list of pros and cons or being wooed by the ostensible strength or confidence of an ESTJ. Finally, INFJs, despite their Se’s concern for material comforts and beautiful surroundings, will typically be happiest with another Intuitive type, even if his or her income is more meager than that of an ESTP tycoon or stockbroker. Reader: I am an INFP female age 34. I married my ESTJ husband at age 20. It was very much for me as you described. Meeting him felt very nice at that time in my life, when I had no real direction and was floundering around. I loved how he came in and swooped me up, making decisions for me and giving my life a direction. I was not aware of the MBTI until the last year or so and it has been a life saver/changer. I had become so used to denying myself and feeling there was something wrong with me. Always giving in on every issue and not really having a voice of my own. He is a very forceful and dominant personality and after 14 yrs of marriage, I have lost myself. It has been a light at the end of the tunnel to make these discoveries and begin relearning myself. Simply dusting everything off and really looking at my own needs and desires after all this time is a huge step for me. I realize I have a lot of digging out to do to get out from under the rubble and debris that has kept me entombed in this marriage for so long. It will be a long process to rebuild my life again. I truly wish this subject was more readily taught and discussed with young adults. Just having a vague understanding could help so many people with life choices. 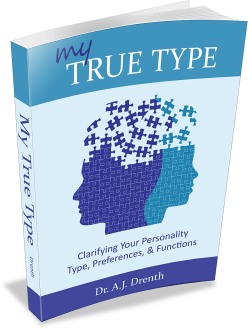 Careers, choosing a mate, raising children, communicating with spouses, extended family relationships are all things where personality differences come into play. The more educated someone is about the personalities that surround them, the more likely they will be successful in life and able to build a solid foundation around them. In truth, your story is very common, and not a few INFs have fallen under the spell of the ETJ type (and the ETJ type under the spell of the IFP, I wager). What often starts out looking like a fairy-tale opportunity to feel “whole” (aka individuated) when we pair with our typological opposite can quickly destruct into a nightmare and the eventual realization that we’ve “lost ourselves” somewhere. Relationships become tinged with co-dependent behavior as the partners attempt to use one another to supply them with the inferior needs that they enviously wish they could provide for themselves. This is how a love-hate relationship develops. As A.J. 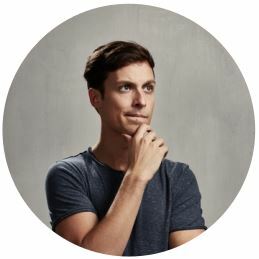 rightly illustrates, the relationship between the dominant and inferior function prior to reconciliation or individuation is one of extreme tension (like a rubber band) with one side seeking to regain strength or dominance when it feels like it’s being pulled too tightly by it’s oppositional function. If the psyche feels that the unconscious inferior function is gaining too much power, the dominant function will readily take extreme measures to wrestle back control, like when we overcorrect after our car accidentally veers into the wrong lane. When we pair with our typological opposite without sufficient understanding of type dynamics or awareness of the powers of our unconscious over us, we put ourselves at great risk for experiencing this extreme tension and love-hate volatility in our relationships. In plain language: what happens is we view our partner as the same thing as our tertiary and inferior functions. Therefore, all of our unresolved issues with our tertiary and inferior functions become projected onto our partner and are acted out in our relationships – and usually in very destructive ways. Typically, the things that initially draw opposite persons to one another end up being the same traits that create conflict and resentment down the road. When reality sets in and we realize that becoming “whole” by using our partner as a crutch or “stand-in” for those inferior functions we haven’t conquered yet is an illusion, the relationship begins to crumble. The unconscious psyche, not one to be fooled easily, realizes that our partner is not an authentic or sufficient substitute for our own psychological growth. In fact, after this point of realization, the partner is actually perceived as a threat, as an obstacle to our further development. The tragic part, of course, is that like any “cause and effect” pattern, this behavior sets off a predictable chain of events that eventually snowballs. The more forceful he becomes as a result of his exaggerated Te, the more passive or acquiescent, I’d wager, you become as you respond by relying on Fi and Ne. Your passiveness is an invitation for him to become more aggressive, and that aggressiveness invites your passiveness, and so on until something (or someone) hits the fan. And while all this may sound very grim, please know that there is absolutely hope for reconciliation with one another and with yourselves as individuals (if that should be your desire). Doing this, quite clearly, demands being educated about your own inner conflict between your dominant and inferior function and recognizing the destructive pattern that your unconscious is acting out in the relationship. If the partners can make themselves aware that it is their own inner inferior functions that they are at war with, and not one another, they can avoid making each other scapegoats and villains and possibly save the relationship. A great therapist can be a very useful (dare I say necessary?) aid to couples on this journey to reconciliation as well. Unfortunately, however, if only one partner is able and/or willing to confront their subconscious behaviors and make changes, I see it as very unlikely that the relationship could be repaired and improved in the future. As you might guess, it is all to easy to slip back into unconscious habits and suddenly go to war with your partner anytime you are having a personal crisis with the inferior function (which for most of us is an ongoing ordeal). In couples of opposite type, the temptation to do so is often just too great to make the risk worth the while. Even the most self-aware, ego-less, and wise individuals would find it a challenging task. Consider then, how exponentially harder this is for people who don’t have this understanding?